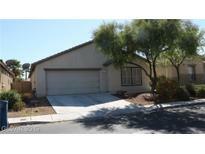 Below you can view all the homes for sale in the Shadow Springs subdivision located in North Las Vegas Nevada. Listings in Shadow Springs are updated daily from data we receive from the Las Vegas multiple listing service. To learn more about any of these homes or to receive custom notifications when a new property is listed for sale in Shadow Springs, give us a call at 702-323-5963. Upgraded features include fresh interior paint and new carpet in select rooms. MLS#2085119. Opendoor Brokerage LLC. *tile Downstairs Through Out, *laminate Wood Flooring Upstairs ! * Covered Patio! A Must See!! ! MLS#2086938. Realty ONE Group, Inc.
Delightful tenant now on a month-to-month occupies the home! She would like to stay MLS#2086360. Help U Sell Integrity RE. Close proximity to walking trail and park. MLS#2085727. Premier Real Estate. Honey...Stop The Car...This Is It!o*n*e**o*f**a**k*i*n**beautiful 5 Bedroom Home In Fantastic Neighborhood Featuring Beautiful Front Door Entry*1 Bedroom Dwn*5 Bedrooms Up*tiled Floors*upgraded Carpet*granite Counter Tops*brkfst Bar*pantry*fabulous Cabinets*appliances Stay*covered Patio*h-u-g-e Master Bedroom W/ Walk-in Closet*master Bath W/Separate Shower & Tub*neighborhood Park...Near Shopping & Schools..A Must See For Your Picky Clients...8-) MLS#2085142. Rock Realty Group. This home is part of the Shadow Springs Homeowners Association. 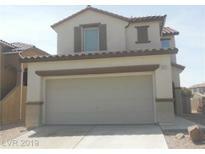 MLS#2080332. Opendoor Brokerage LLC. Master Bath has new tile surrounds, Frameless glass shower enclosure, Granite counters, Under-mount sinks, Faucets! ! MLS#2078416. Simply Vegas. This home is part of the Shadow Springs Community Association. MLS#2076301. Opendoor Brokerage LLC. The kitchen features corian counters, ceramic tile flooring, island, stainless steel appliances & newer cabinetry. Don't miss this one! MLS#2075991. King Realty Group. Home also has a Den downstairs & Loft upstairs. Tenant-Occupied; currently on month-to-month. MLS#2074622. ADG Realty. Pictures Are From Before Owner Had Moved In, From Previous Listing, It Is Still In A Good Condition. MLS#2071770. IHOME Realty LLC. Back yard is desert landscaping with a large concrete deck. MLS#2069426. Attentive Realty & Property Ma. This home is part of the Shadow Springs HOA. MLS#2069005. Opendoor Brokerage LLC. Water softener included. Easy access to freeway! MLS#2063389. Elite Premier Properties. The garage features an epoxy floor, racks for storage, and a water softener. Easy access to the 215. MLS#2052298. Realty Pros.